This twofer pedal delivers huge sound in a board-friendly platform. 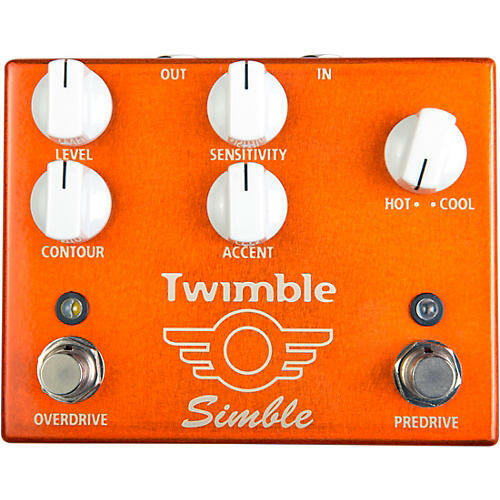 The Mad Professor Twimble is a combination of the Simble Overdrive and the Simble Predrive. Both of the drives have been tailored slightly in order to achieve an even more organic tonal result. As you turn the contour fully clockwise, you will notice the overdrive section now features enhanced clarity with a sparkling top end. The Predrive section has additional sweet compression. This results in a pedal with a more 3-dimension tonal feel and it is even easier to slide between clean and overdriven guitar tones, which can easily be controlled by your guitar volume. In addition, you will notice more warm sustain to ease playing.